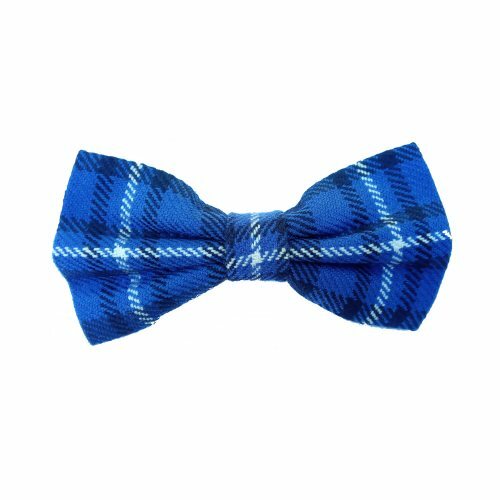 Galician National tartan bow tie to match with your kilt or for general formal dress. + Slim Line/Classic Style: The bow is 6-7 cm high (2-1/2 inches) and creates a classic butterfly shape. + 100% acrylic with easy velcro fastening. + Size: fits a neck size of 38-44 cm (15-17 inches). If you need yours longer or shorter, please get in touch as we can produce a custom made bow tie length for you.